I can't say why, but I can conjecture that it's a quality we are looking for more and more. Is it because it's lacking, or because we realize it's importance? I'll leave that conjecture up to you. When it comes to educating kids to be well-rounded martial artists and raising them to be good adults, we want them to be resilient. We want them to happy, healthy and successful. And, we know that the world, and their lives won't be unicorns and rainbows all the time. We want them to be able to face their fears, overcome their limits, handle adversity and most importantly be able cope when we are not there to hold their hand or brace their fall. This is best summed as resilience. 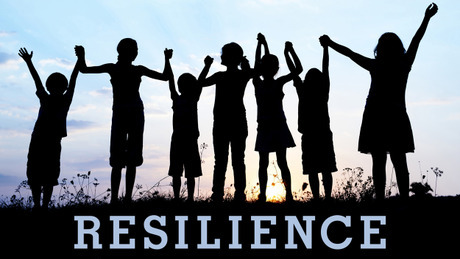 Here are a variety of ways that you can help the children in your lives to develop resilience. Teach them to learn from mistakes and failures. Reward the performance rather than the result and teach them to search for the lesson in the "loss"
Give them ways to build self confidence. This can be done by breaking large, seemingly unreachable goals into smaller chunks and mini-attainments. A small goal, will be a small risk and potentially a small failure. This will give them the confidence to try again. Introduce them to meditation. Meditation can be abstract even for adults to pick up, but has been shown to be a great stress reducer. Less stress equals more resilience. Focus on Learning: teach them to ask themselves "What Can I learn from this that will help me do better next time?" Keep some fuel in the tank: Going at 100% all the time is a sure way to break. Kids and adults need to wave the intensity and have purposeful times of recharge.